A Transatlantic Diplomatic Exchange Fellow from Ankara discovers more similarities than he expected when he spends a year in Foggy Bottom. Ömer Murat at work in the Embassy of Turkey in Washington, D.C. However long my career as a Turkish diplomat lasts, I will always cherish my year (2011-2012) at the U.S. Department of State with the Transatlantic Diplomatic Exchange Fellowship Program. This unique program allows diplomats from NATO and the European Union to work at State for a year. The Turkish Foreign Ministry highly values this opportunity for its diplomats to experience the U.S. foreign policymaking process from the inside, and to facilitate better relations between our two countries. Excited as I was to be assigned to such an important program, I must confess that I had no real idea just how challenging—and rewarding—an experience it would be. It took longer than I expected to overcome a difficult-to-explain sense that I was some sort of impostor—a feeling exacerbated whenever I met someone who treated me as one of his or her “ordinary” American colleagues. In fact, many of my State Department colleagues were genuinely surprised to learn I am a Turkish diplomat, especially those who had never before met a Transatlantic Diplomatic Fellow. Once I realized I’d lost my way, I had to ask other people how to get back to my suite, without letting on my concern that they thought I was a stranger or not meant to be here. And I had to do this with proper manners. Of course, they were never, ever suspicious of me, but always smiling and helpful. Some told me it was a more gruesome feeling to walk around the building before the posters of world cities were mounted on the walls. I salute those who had this brilliant idea, which makes the experience of navigating the building much less claustrophobic. Even perceptions of the rivalry between each country’s capital and largest city (Washington versus New York, Ankara versus Istanbul) are similar. And yes, those of us in the TFM regard Ankara as one of the “least preferred” places to be assigned, due to long, stressful working hours and lower pay. Another thing American and Turkish public servants have in common: The vast majority of us are dedicated and hard-working. We are not primarily motivated by material satisfaction, but by the genuine pleasure that comes from contributing to the well-being of our respective nations, and promoting their national interests. However, I would observe that State has much more highly developed mechanisms than TFM for rewarding exceptional individual contributions. During my fellowship I was based in the Bureau of International Security and Nonproliferation, which is responsible for managing a broad range of U.S. nonproliferation policies, programs, agreements and initiatives. The spread of weapons of mass destruction, whether nuclear, biological, chemical or radiological, and of related materials, technologies and expertise, and delivery systems, is a pre-eminent challenge to American national security. ISN leads the State Department’s efforts to combat this grave threat, and prevent terrorists from acquiring WMD, through bilateral and multilateral diplomacy. I had an extensive portfolio, but my main responsibility was to support Ambassador Bonnie Jenkins, the coordinator for threat reduction programs. She is also the U.S. chair of the Group of Eight’s Global Partnership Against the Spread of Weapons and Materials of Mass Destruction, and the Department of State lead for planning the G-8’s annual Nuclear Security Summit. Because the United States was the host for the 2012 summit, the Department of State needed to set up a website and outreach tools. Among other tasks, I developed and managed the Internet portal that promoted the United States’ chairmanship, facilitated several Global Partnership conferences, hosted meetings and reached out to foreign diplomats to further GP collaboration. At the risk of immodesty, I am delighted to say that the webpage we designed to advance U.S. public diplomacy for the 2012 Nuclear Security Summit, which we kept current throughout the summit and its immediate aftermath, received rave reviews from the National Security Council staff and from across the U.S. government for being comprehensive and user-friendly. I also had the pleasure of addressing a group of students to discuss the State Department from the perspective of a foreign diplomat. Having strong links with the continental European tradition, the Turkish Foreign Ministry might be a little more formal than the State Department, but State is certainly no less serious about foreign policy. Still, as a huge apparatus trying to manage the broadest range of crises and problems covering the whole world, convenience has to prevail over formality. Moreover, bureaucracy is not (and could certainly not have been) an American invention. But even if it were, American practicality would make it more palatable. That said, my time at State has reinforced the impression that career diplomats as a group tend to be a little bit reserved. We also do not approach the task of drafting a cable that analyzes the politics of a country as we would an academic or news article. Instead, we try to get above the current atmosphere to recognize weaknesses in policymaking that could lead to serious mishaps, mindful that there is always another side of the story, and any policy is likely to fail if it doesn’t carefully take that side into account. The heavy responsibility of crafting foreign policy usually results in recommendations that reflect strong realism and cautiousness. The tension between the Foreign Service and Civil Service at State reminds me of a similar predicament pitting generalists against specialists at TFM a few years ago. I remember that during my orientation at the TFM Academy, a retired Turkish ambassador described being a Foreign Service officer with these words: “You are the face of your own country; people like you are called statesmen.” This is not an easy task, of course. You are expected to be ambitious but not aggressive, purposeful but not obstinate, coolheaded but not dispassionate. You have to be a master of good rhetoric and writing to be a successful diplomat. You also need to know that most of the time, you will be expected to explain your country’s position without revealing many of the facts to which you are privy, but not authorized to disclose. Your loyalty is always to your own country, but a good diplomat has manners that earn the respect of diplomats, politicians and leaders of other countries. You might have been assigned to an African country for the last three years, but in the capital back home you could be working on the Balkan desk. This usually means that within a few weeks of starting your new job, you are obliged to be fully in command of the situation there, and able to present talking points with regard to that specific country and region. The tension between the Foreign Service and Civil Service at State reminds me of a similar predicament pitting generalists against specialists at TFM a few years ago. But unlike in your system, Turkish specialists were losing influence and relevance within the ministry. As a result, many of them left TFM because they felt they didn’t have good career prospects. To address that problem, a reform process initiated by Foreign Minister Ahmet Davutoglu several years ago, and now overseen by Deputy Foreign Minister Naci Koru, has created a second career track for specialists. (I am honored to have been part of that process while working in the Human Resources Department in Ankara before I came to Washington.) So it is now possible for specialists to be appointed as consuls general (albeit not chiefs of mission), although it takes much longer for them to achieve that status than it does generalists. I am well aware that there is no simple way to manage this tension. But I also tend to doubt there is a way to create a professional diplomatic service without making generalists the backbone of it. If the current State Department personnel system was intended as a deliberate answer to these challenges—rather than as an ad hoc structure that encompasses many different priorities and impulses—I must say that it is not a very convincing one. The State Department represents the multicultural facet of the American political system, both at home and abroad, and the Transatlantic Diplomatic Exchange Fellowship Program faithfully reflects this trait, as well. It is not based on reciprocity, but has the sole purpose of building more bridges to, and understanding of, other nations. I am proud of having had the unique experience of serving as a Transatlantic Diplomatic Fellow, and hope that I contributed to that goal during my time at State—and through this article. 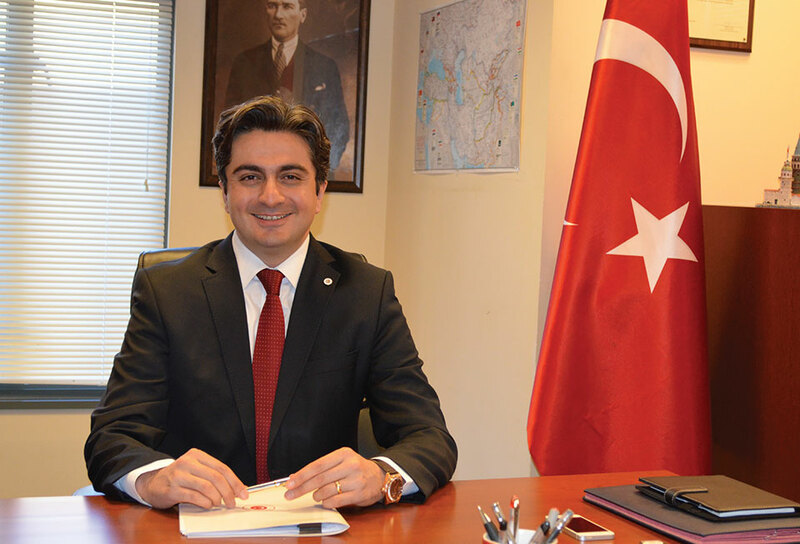 Ömer Murat is a counselor at the Turkish Embassy in Washington, D.C. Since joining the Turkish Foreign Service in 2001, he has also served in Tripoli, Brasilia and Baku. He wishes to thank Ambassador Bonnie Jenkins, Margo Squire and Mahvash Siddiqui for their support during his time at the State Department.